The Aspen desks & pedestals range is not only affordable but contemporary too and has become quite a hit in South Africa. From kids rooms to trendy work and office spaces for teens and adults, this range is sure to please all ‘round. 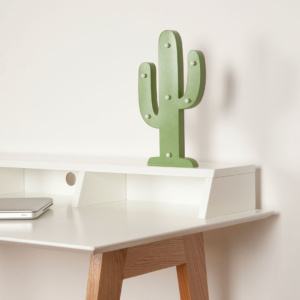 “These top quality pure white MDF sprayed Aspen desks & pedestals with solid Ash wood legs are pleasing to the eye and nurturing to the budget”, says Yulande Roxburgh, CEO of Clever Little Monkey, the SA distributor for the new Aspen range. Aspen desks & pedestals were launched in SA 3 years ago with a white, grey and wooden finish. Today Aspen comes only in white and wood which is both stylish and practical. 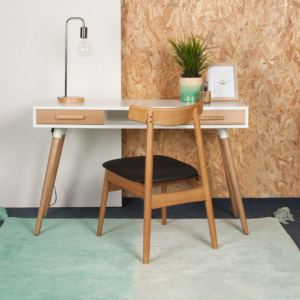 Everything began when we asked, “Why can’t we have a beautiful, affordable range of desks and pedestals with a contemporary feel in our kids, teens and own rooms?” Enter Aspen. Since then you might find cheaper copies around, but nothing compares to the satin smooth quality and finish of the Aspen range available at cleverlittlemonkey.co.za. The brand prides itself on quality in every aspect of production, from the finest raw materials to functional flat-pack packaging. Each desk or pedestal comes with full assembly instructions. Having obtained a BA Political Science degree, I worked in Parliament and the Gauteng Legislature, whereafter I had the fabulous opportunity to work as an international flight attendant for SAA and travel the world. I then ventured into PR and Marketing, working as a Marketing Manager at Irene Village Mall and Stellenbosch Square. Next followed my stint as a Regional Sales Manager for SA Greetings, managing a wonderful team across the Western and Eastern Cape, Namibia and KZN. Making the move to the Overstrand area and settling in the gorgeous seaside town of Betty's Bay, I was privileged to join the awesome all-girl team at Clever Little Monkey.